System76 has launched two high-end laptops powered by Intel's 4th-Generation Intel Core "Haswell" processor. While that may not seem too unusual in the light of 50 similar devices hitting the market in recent weeks, the company's Galago UltraPro and Gazelle Professional models stand out for their hefty dose of Linux love. 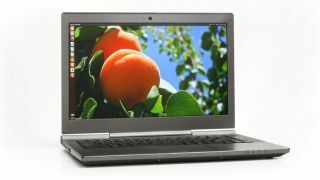 Shipping with Ubuntu 13.04 64-bit as the operating system, System76 says the Galago UltraPro is the world's first ultra-thin laptop to use Intel's Iris Pro Graphics 5200, which houses 128 MB of discrete eDRAM. That's particularly good news for graphic desginers and, particularly, gamers, in light of Valve porting its Steam service to the open-source platform. The Galago UltraPro features a 14.1-inch 1080p IPS matte display and can hold up to 16GB 1600 MHz dual channel memory. Extras include a multi-touch clickpad and a built-in 1MP HD webcam. Connectivity-wise, it sports 10/100/1000 Gigabit LAN, Wifi, HDMI, Displayport, Ethernet, three USB 3.0 ports, an SD Card Reader, and headphone and mic jacks. Alongside the Galago UltraPro, System76 has debuted the Gazelle Professional, which is aimed at business users. In addition to a 15.6-inch 1080p IPS matte finish display, it gives users the option to attach two additional hard drives via an integrated eSATA port, allowing a whopping 2.3TB of data to be stored on the machine. For faster performance, the device can be further configured with mSATA and two 2.5-inch SSDs. The Gazelle Professional also houses Haswell processors that range in speed from 2.4Ghz to 2.8GHz. The drawback is that users will have to settle for an older graphics chip in the form of Intel's integrated HD Graphics 4600. Users can configure and order a Galago UltraPro ($995) or Gazelle Professional ($799) now. System76 has given a date of June 20th before orders leave US shores, but there's no word yet on UK pricing.